Having the best software means listening to your users and making changes that improve the overall experience and maximize efficiency. With that in mind, we are excited to announce some of the software and design updates coming to both our FSA/HSA and COBRA platforms on June 23rd, 2018! 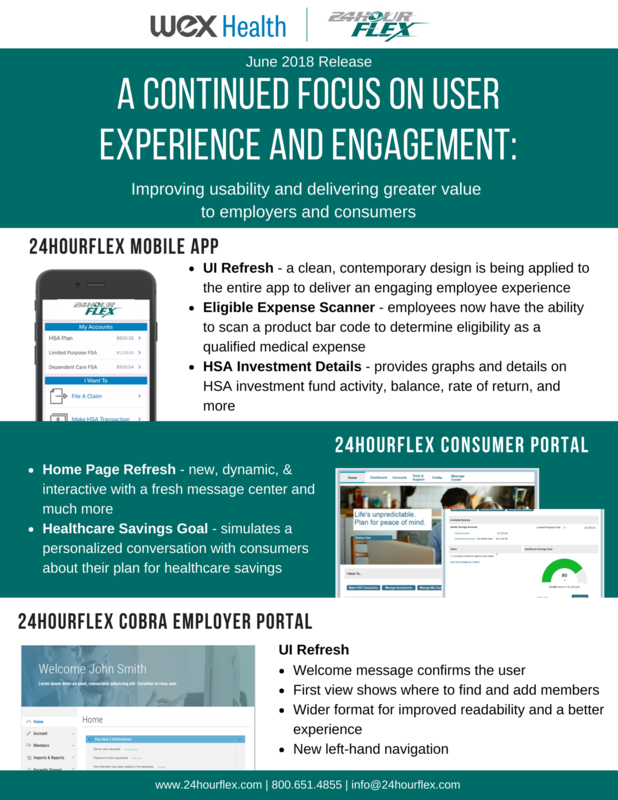 Updates include a refreshed design for the FSA/HSA Consumer Portal, FSA/HSA Mobile App, and COBRA Employer Portal, and several exciting new features, including an Eligible Expense Scanner for the FSA/HSA Mobile App and a Healthcare Savings Tool for the FSA/HSA Consumer Portal. We can't wait for you to see the new designs in action, but for now, see below for a sneak peek!